Did you know women account for only 1 in 15 people in STEM fields? Bad, right? That statistic looks even worse when you start talking about LGBTQ women in tech. That’s where Lesbians Who Tech comes in. Lesbians Who Tech is a powerhouse of a community—the largest LGBGTQ professional event in the entire world. Their purpose is multifaceted: to get queer women in tech more visible to each other as well as to others, to get more women and lesbians into technology in the first place, and to connect Lesbians Who Tech to other LGBTQ and women’s organizations. I had the immense privilege of attending the San Francisco summit at the beginning of this month; it was a wonderful and empowering experience. 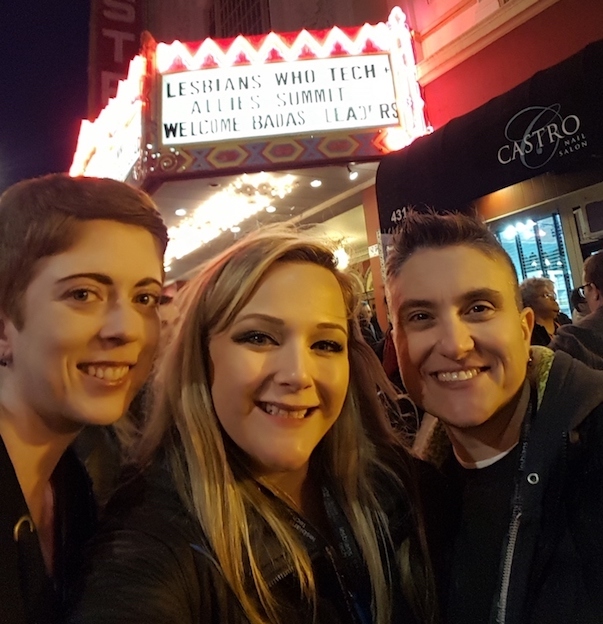 Held in the iconic Castro Street neighborhood in San Francisco, under slate-gray skies that promised—and delivered—rain, the Lesbians Who Tech summit was a gathering of women unlike anything I’ve ever seen. Being surrounded by a crowd of almost purely women made me realize how much I don’t usually realize the gender balance of the space I’m in. There’s a different energy when you’re in a theater filled with 5,000 women—it’s a particular brand of feisty, a certain type of powerful, a particular style of supportive passion. There were so many of us, the event wound up standing room only. And when we cheered, we shook the walls. Literally. More than 150 talented speakers from all backgrounds, races, gender identities, sexual orientations, and more gave TED-style talks on everything from the state of net neutrality, to design challenges and considerations for augmented reality, to redefining weakness, to tackling the perils of perfectionism. Each talk was only ten minutes long, which was a blessing and a curse; a blessing because it allowed for more speakers and talks, but a curse because the speakers were so knowledgeable you could have listened to them for days. 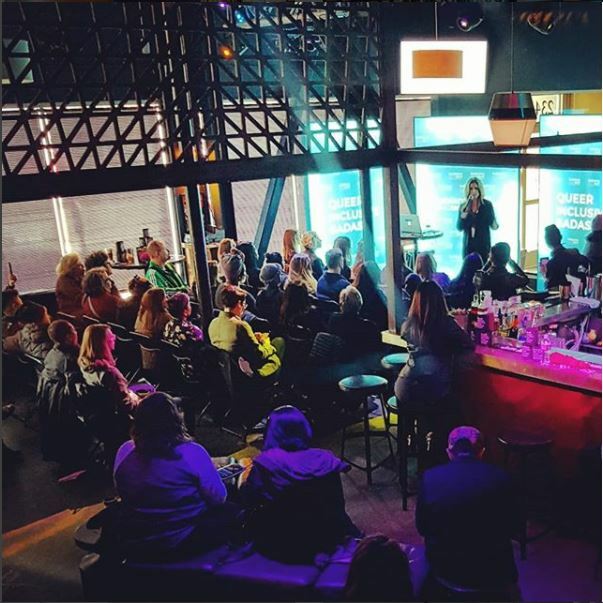 The summit itself was also unique in that the talks were held in various bars throughout the Castro. No stuffy conference rooms here, but rather sleek neighborhood joints packed to the rafters with attentive, unique women listening to other attentive, unique women. Sheryl Sandberg even spoke, touching on many subjects, including iD Tech! 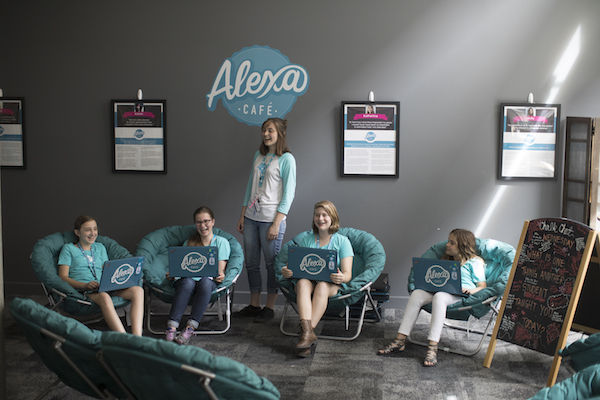 “There’s an iD Tech camp, which is like a good tech summer camp a lot of parents in Silicon Valley send their kids to, and my niece went,” she said. “She was supposed to make a game, and the only kind of games they knew were like driving and aggressive games, and she said she wanted to make a word game. That's the way iD Tech works, the way we support women in STEM, from our CEO down to our summer staff—we start with our campers, making sure they're inspired and creating projects they love. Why Did iD Tech Go to LWT? It’s simple, like I said above: we care about getting more women in STEM. Women of all sexual orientations and gender identities, women of all backgrounds and races. Women are vastly underrepresented in tech fields, this needs to change, and iD Tech is helping to change it. How? We started with a "Girl’s Week" of camp, way back in our year of founding in 1999. Turns out we were ahead of our time then—barely any girls attended. That’s also why we went to the LWT Summit. What better place to learn what sparked 5,000 women to pursue STEM than from the women themselves? What better way to network, listen to confident women speak, and learn to speak confidently ourselves? What better place to have our eyes opened to new perspectives and new processes? What better way to take those new processes back to our jobs and our lives and implement them? And there's yet another reason we went to the LWT Summit: to support and lift up our queer female staff right here at iD Tech. Because getting young girls into STEM is vital, and so is keeping them there. iD Tech is making changes. Big changes. We’re at almost 25% female campers. We won’t stop until we get to 50%. How will you help? For more information, visit the links below!